Eroded, gently rolling brushland crossed by silted stream valleys makes up the terrain here. This land formed during the Cenozoic Era (the period following the extinction of dinosaurs). Ancient rivers flowing to the southeast dumped their sediments into what was then part of the Gulf of Mexico. This created new land. Seas intermittently covered the newly-formed land with more river sediment. These sediments were mostly volcanic ash, claystone, siltstone, tuff, shale and shaley limestone. Over time, erosion of these sediments and subsequent deposits of river silt produced the land you see today. 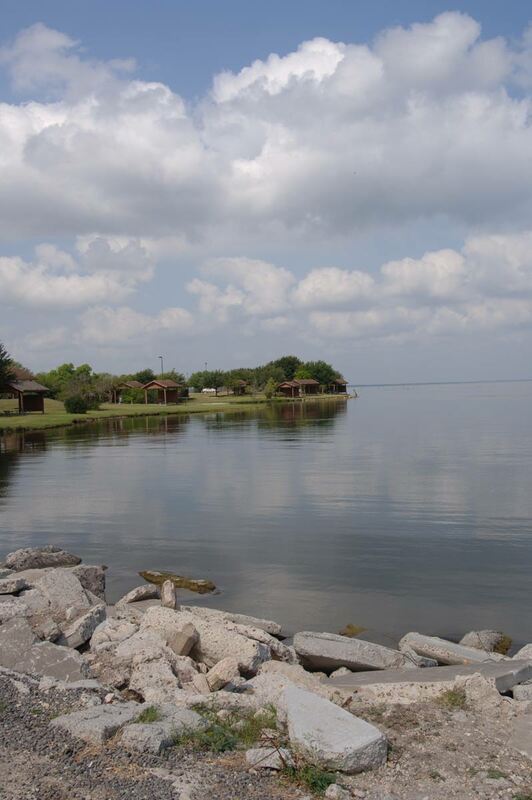 The Choke Canyon Dam is near where the Gulf shoreline was about 30 million years ago. 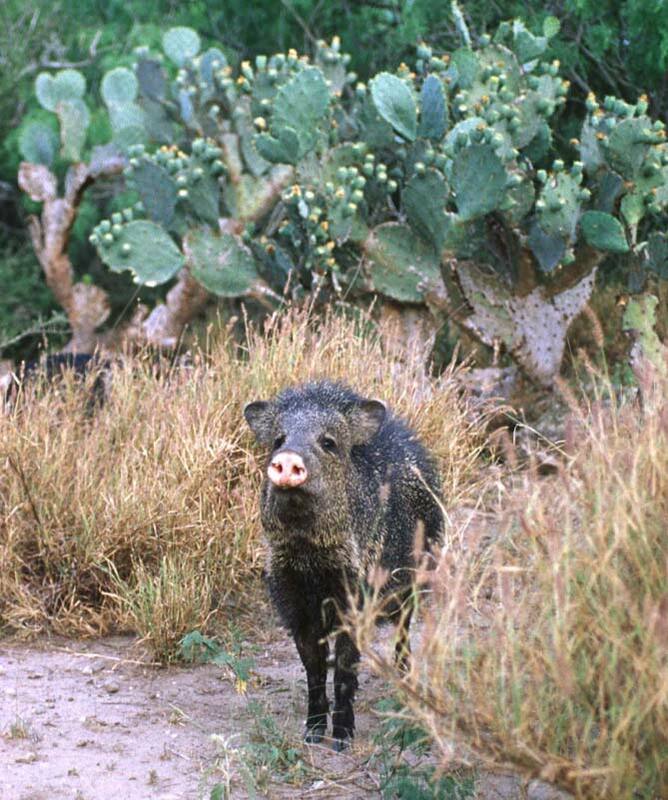 Both Calliham and South Shore have a wide variety of wildlife living in dense thickets of mesquite and blackbush acacia. 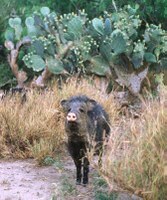 Rio Grande turkey, white-tailed deer, javelina, coyote, opossum, fox squirrel, raccoon and various skunks are among the most common animals. American alligators live in the park. Choke Canyon is the westernmost place where they commonly occur. Many types of fish swim in the reservoir. Species include largemouth, white and striped bass; bluegill; longear and green sunfish; flathead, channel and blue catfish; white crappie; carp; freshwater drum; and gar. Learn more about Choke Canyon Reservoir. The Bureau of Reclamation and the American Birding Asso­ci­a­tion have rec­og­nized Choke Canyon Res­er­voir as a place of special im­por­tance for birds and bird­watchers. Large numbers and varieties of birds come to the water and to the adjacent uplands. You might see a crested caracara (Mexican eagle). Many typically Mexican species of birds are near the northern limits of their range here. As a result, this is one of Texas' finest places to watch birds. 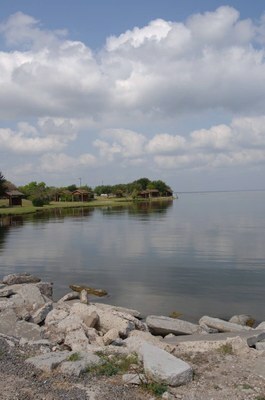 The park is on the Brush Country Loop of the Great Texas Coastal Birding Trail.